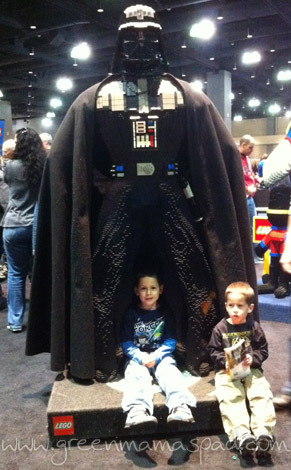 We had fun at the LEGO KidsFest in Connecticut over the weekend. One of the best parts was all the cool, life-sized Star Wars characters made entirely of LEGO bricks. 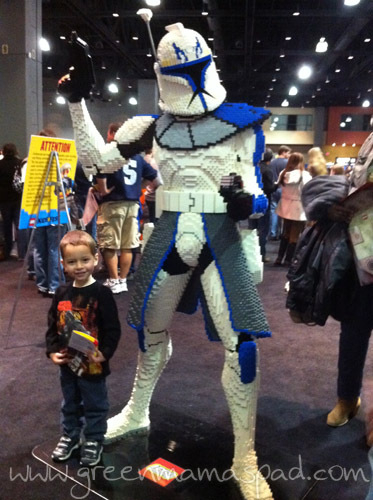 Looks like Lego Kidsfest was tons of fun! Those are just too cool that they are that big and made out of legos!! Love the last picture with your boys! It mus have taken forever to make that! Very cool. I'm glad you got the chance to go. I loved it when I went earlier this year too! I wish I had gone, that looks amazing! I wonder how long it takes them to build those figurines! WOW! Those took a lot of patience! We love legos. Thanks for sharing. Wow those are so cool! Love Darth! WooHoo!! That Vader is aweseme! That is the most amazing Darth Vader. Awesome! That is AWESOME! Imagine the work that must have gone into that! Holy cow! Those are AWESOME! Those are so cool! I can't even imagine how many individual Legos those took to construct though.